AIM Solder, a leading global manufacturer of solder assembly materials for the electronics industry, announced today their attendance at the 2nd Annual Flex Invitational which took place on May 5th, 2016 in Guadalajara, Mexico at El Cielo Country Club. The Flex Invitational Golf Tournament is held as a charity event to help raise awareness and money for children with cancer at the Hospital Civil de Guadalajara. 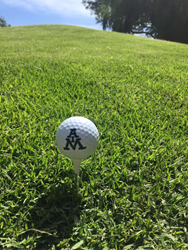 AIM participated in the 2nd Annual Flex Invitational Golf Tournament to help raise money to benefit the Vivan los Ninos con Cancer AC Foundation. All proceeds were given to the Vivan los Ninos con Cancer AC Foundation to purchase a Spectra Optia® Apheresis System for Hospital Civil de Guadalajara. This system is a transportable therapeutic apheresis system that uses continuous flow centrifugation and optical detection technology. The Spectra Optia® Apheresis System allows operators to spend more time focusing on patient care during protocols such as mononuclear cell collection, bone marrow processing, and therapeutic plasma exchange.